2.5 Psychometrics These are all the notes for course 2.5 Psychometrics, taught in Erasmus University. It contains all the chapters from the textbook with highlights for the important terms and some detailed explanations. The notes are made in such a way that you can skip reading on the textbook entirely and save you time. At the first two pages you will see how the chapters are divided by week and meetings. 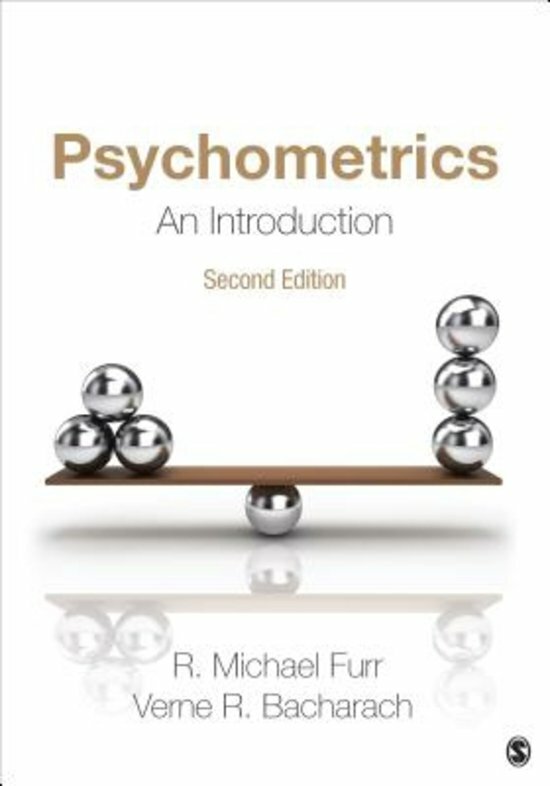 Course 2.5 Psychometrics I offer you a complete summary of the Psychometrics course. I summarised all chapters of the Furr & Bacharach Book and included a lot of colours and graphics to make studying nicer and easier - It's like reading a good textbook, but way shorter. You can be sure that I included all important information for this course as me & a lot of friends studied with these summaries last year. So good luck with your studies and I hope you enjoy my summaries!